Home » Car loan » Loans » Title loans » Can You Get a Title Loan without a Title? When a financial emergency rears its ugly head, short term loans are usually a welcome resort. Title loans are simple to access, fast cash, and do not require a perfect credit history. Known in other terms as auto title loan, getting one is the most popular strategy in the market for many people who are trying to solve their financial difficulties. The loan is well sought after due to its convenience during emergencies when other avenues of are blocked as a result of serious debts or other existential reasons. The only difference between a title loan with other loans is the need for a vehicle title. These loans solely depend on the title to sustain operations. In a case where, the loan does not have a title attached to it, it poses a risk to both the lender and the borrower on many levels. It is worth noting that the title loan represents money given by the loan company against the asset known as collateral, which is a your car. This is done on purpose, when default arises, the company can repossess the asset to pay for the loan. Because of this measure, title loans are secure with high interest rates. However, it is not the common type of loan in most of the banks but it is legal. To access this type of loan, you will require some form of personal documentation to act as proof of ownership for the vehicle. What happens then if a borrower applies for a title loan without a title? 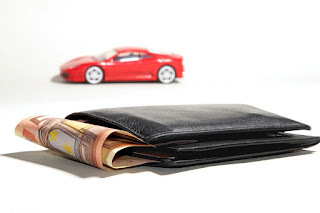 The first essential requirement is a vehicle for you to qualify for a car title loan. This has the implication that your car, truck or motorcycle must have some worth for your lender to be convinced that you deserve the loan and use the vehicle as collateral. Nevertheless, the title also comes with its requirements. Quite a number of lenders require a clean title before approving your loan. While it is very possible to get a loan with a title that is still under financing from your bank; meaning that you are only a partial owner of the vehicle, the truth is that most lenders would rather deal with clean titles. Ones that only you own. Therefore, the necessity of a clean title on your vehicle implies that you do not have outstanding liens against your car. With a clean title, a lender can easily give you a loan because you have the right as the owner of the vehicle to borrow against the equity in your vehicle. In case you have another person listed on the car title as the co-owner, the title still stands cleared and you may be required to both sign the application papers for the loan to be approved. If you are trying to get a loan with no title because you forgot where you put it or you lost it, not to worry! Your lender can help you by giving you instructions on how to request for a copy of the title or look for a new title from the Department of Motor Vehicles. If you are aggressive enough, you can run a quick search to check on the process requirements. Upon getting the title you will be free to apply and get approved for the loan. But if you were gifted by a loved one who never thought of providing the title, it can be tricky. You can reach him/her to retrieve the title if possible. If, however, the title was lost, then both of you will have to visit the Department of Motor Vehicles (DMV) to apply for a copy of the title. Although this process takes a very long time, it is worth the wait to get your hands on the title.Once you have the title, you can proceed to complete your applications for the loan. Proof of Income, such as official statements that validate employment, unemployment compensation, retirement, Social Security etc. If you have all the requirements, your eligibility for a title loan is high. This loan is a powerful financial tool when the unexpected expenses come knocking on your door.